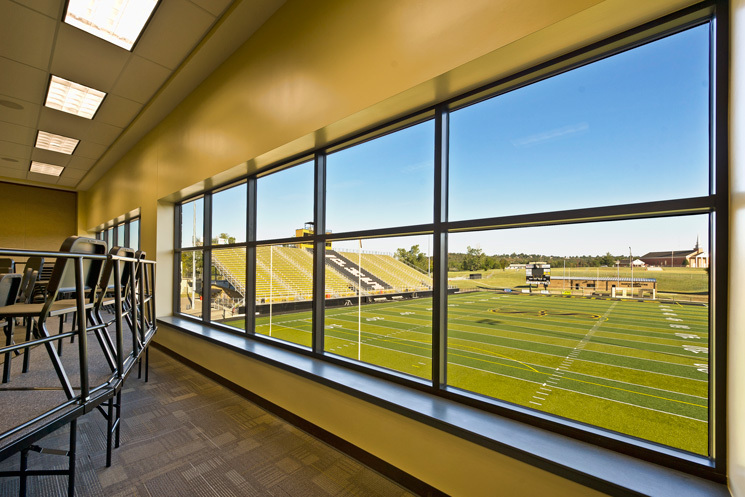 This beautiful new 17,000 SF building is a crown jewel for the Sand Springs School System. 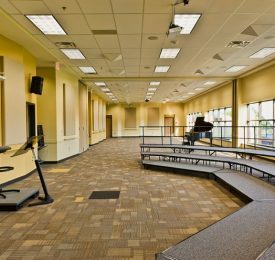 It is a bright and cheerful multi-use building that encompasses separate choir and band rehearsal space, large storage to accommodate instruments, and a large multi-purpose room for special events. 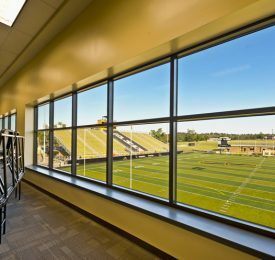 The building is designed to overlook the high school stadium, field and a Sand Springs Veterans Memorial area. 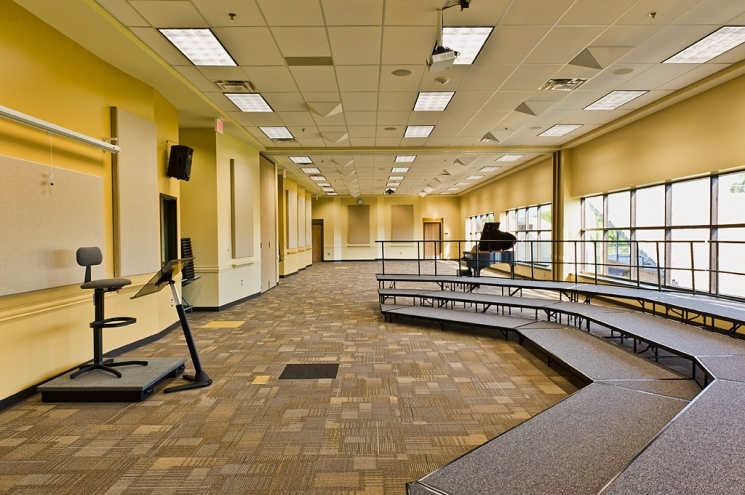 Special attention was given in design to enhance the sound while maintaining the integrity of each individual rehearsal area, which allows groups to function simultaneously without disruption. 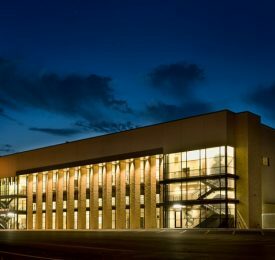 The lobby features multiple display cases and commissioned art work. 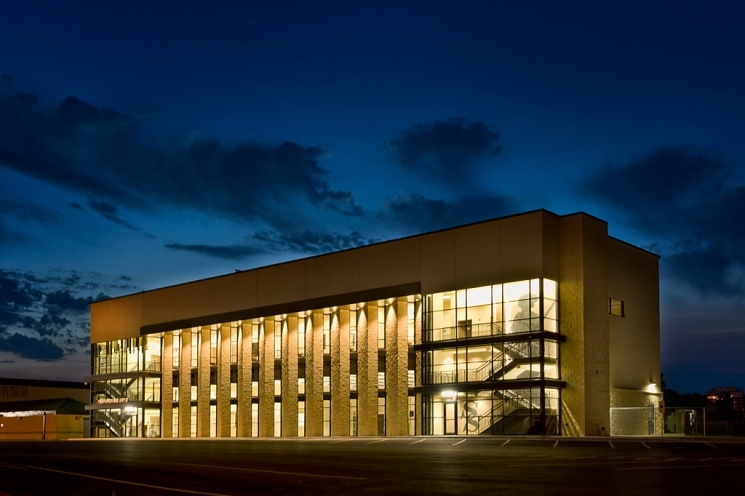 Another prominent feature is the two story Sandite Minuteman designed into the stairwell and visible from the street.